Twins are hard to tell apart if you don’t know them that well. However, most twins—even identical ones—have certain features that distinguish them from each other. The same holds true for Morton’s neuroma and neuromas. A Morton’s neuroma is the thickening of tissue around the nerve, caused by swelling, as it runs under the ligaments that connect your toe bones to your foot bones. This condition is only found in the foot, as opposed to neuromas, which can be found anywhere in the body. Most commonly, it’s found between the third and fourth toe. With this condition, there is no formation of a tumor or growth. A neuroma differs from Morton’s neuroma in the fact it’s an actual growth of nerve tissue, not just a thickening. Even though the growth is sometimes called a tumor, it’s a benign condition that is not life-threatening. When it shows up in the foot, it is also most commonly found between the third and fourth toes. The pain might start in the ball of your foot, since that’s the general area where the nerve and ligament cross. Burning pain may shoot from the ball of your foot into the toes. In the digits, you’re going to have tingling, numbness, and swelling between the third and fourth toes. It might feel like you’re walking on a marble or a stone stuck in your shoe—that’s a common symptom of these conditions. Also, the pain will get worse when you put shoes on or try to walk. Stress and trauma can damage the nerve, which can create swelling and inflammation. If that stress is repeated continually, a neuroma can start to form. This type of aggravation can be caused by factors at your job, your shoe choice, or something like an injury in the general area. Biomechanical issues like flat feet, high arches, bunions, and hammertoes can lead to joint instability surrounding the toes, which may make them more prone to developing a neuroma. 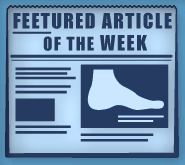 The anatomy of the foot itself might also be a contributor to the problem. The nerve has a narrower space to run through between the third and fourth foot bones compared to the space between other foot bones, also known as metatarsal bones. The nerve is more likely to be pinched when it tries to go through that area. Footwear can also cause the problem. When you squeeze your toes together with pointy-toed shoes or footwear that’s too small for you, you compress the toes together even more. Instead, wear adjustable shoes with laces or buckles that give your toes plenty of room. Your shoes should also be cushioned to absorb shock and take stress and pressure off the ball of your foot. Avoid shoes that have more than a 2-inch heel. If you already have a neuroma, heels and tight shoes will only aggravate the situation. Sometimes, rest, ice, massage, a simple change of shoes, and some calf stretching exercises will do the trick. However, that’s only if your neuroma hasn’t progressed from its mildest symptoms. We think it’s best to see one of our podiatrists if you feel you have this nerve problem, because it tends to get worse as time goes on. Our best outcome would be preventing you from having to undergo surgery. The next step in treatment would be padding, taping, anti-inflammatory medication, injections into the area, and custom orthotics. We specialize in specially-made orthotics and would love to match your foot structure to a customized orthotic that would take pressure off the area. If all treatments have been tried and exhausted with no relief in sight, we might talk with you about nerve decompression surgery. Please know that we’re here to walk you through all stages of your nerve pain. Foot Doctor of the East Bay can prescribe the best treatment to end the symptoms of neuromas. Call our office in San Leandro at (510) 483-3390, Pleasanton at (925) 425-9684, and Los Gatos at (408) 356-6767.